Welcome to Holbrook Unified School District #3 - Home of the Holbrook Roadrunners! Districts are required to prominently display on their website the average salary for all teachers employed in the previous year and the average for the current year including the dollar and percentage increase for teachers employed in the current year. In addition, districts are to predominately display or make available the Classroom Spending Report prepared by the Auditor General's Office. The public can find Holbrook Unified School District's Classroom Spending Report by clicking here. 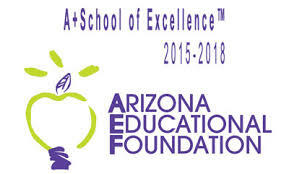 Arizonians have a unique opportunity to donate to schools while saving on their taxes each year! HUSD Mobile App is live! The HUSD Mobile App is now live! It’s available for iOS and Android. Download it today and keep in touch with all things Roadrunner! Child find is a component of the Individuals with Disabilities Education Act of 2004 (IDEA ’04) that requires districts to locate, identify, and evaluate all children with disabilities, ages birth through 21 years, who are in need of early intervention or special education services. This includes private school students and homeschool students. If you suspect your child may have a disability please contact the HUSD Special Education Office at 928-524-2818. HUSD students and staff showcased on learningenglish.voanews.com/ website!